On a low-carb diet such as the Atkins Diet, you must aim for a state of ketosis. Ketosis occurs when your body stops burning carbohydrates for energy and switches to burning fat. You should go into this state during the first few days of the plan, as soon as you begin depriving your body of carbohydrates and supplying it with mainly fat and protein. During ketosis, your body produces ketones. 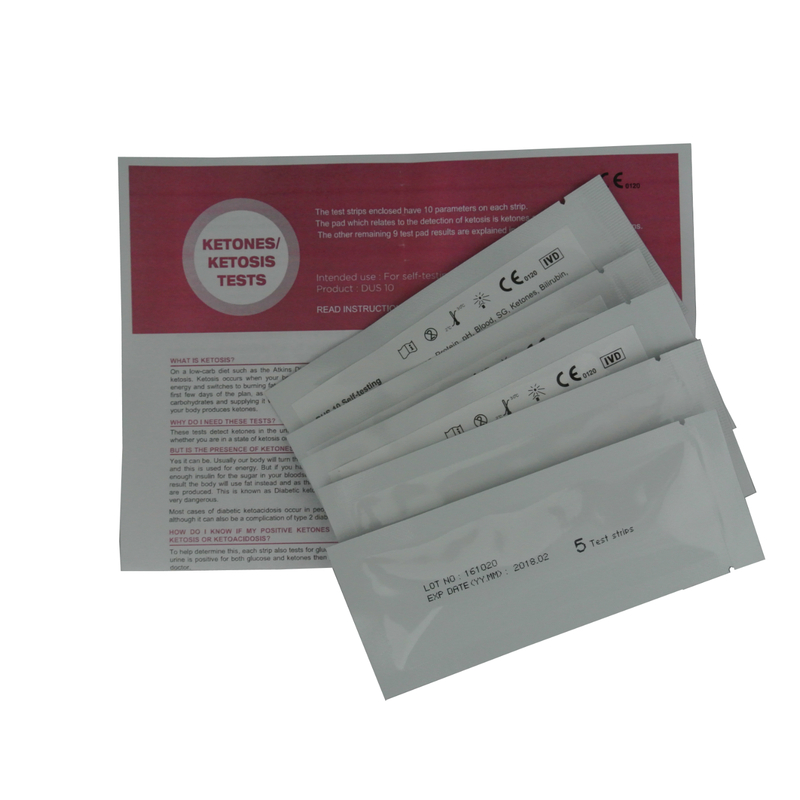 These tests detect ketones in the urine and so will give an indication on whether you are in a state of ketosis or not. 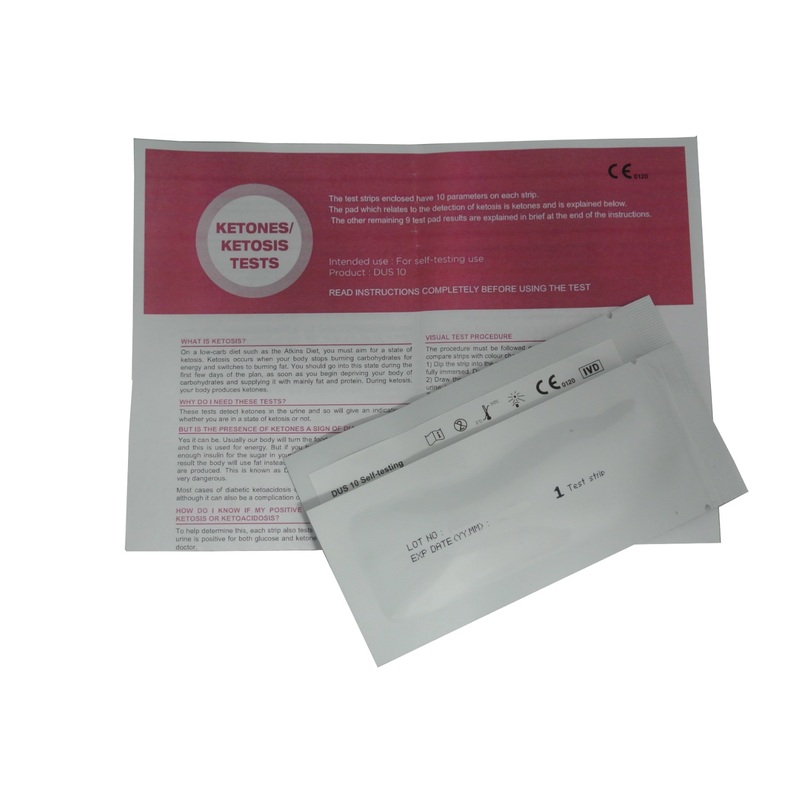 You will receive 5 sealed foil pouches of 5 strips that will each test for ketones and glucose. The time to expiry will be at least 6 months. Once the pouch has been opened, the remaining strips remain stable for up to 30 days as long as the pouch is immediately re-sealed. But is the presence of ketones a sign of diabetes? Yes it can be. Usually our body will turn the food we eat into sugar (glucose) and this is used for energy. But if you have diabetes, you may not have enough insulin for the sugar in your bloodstream to be used for fuel. As a result the body will use fat instead and as the fat is broken down, ketones are produced. This is known as Diabetic ketoacidosis (DKA) and can be very dangerous. Most cases of diabetic ketoacidosis occur in people with type 1 diabetes, although it can also be a complication of type 2 diabetes. How do I know if my positive ketones result indicates ketosis or ketoacidosis? 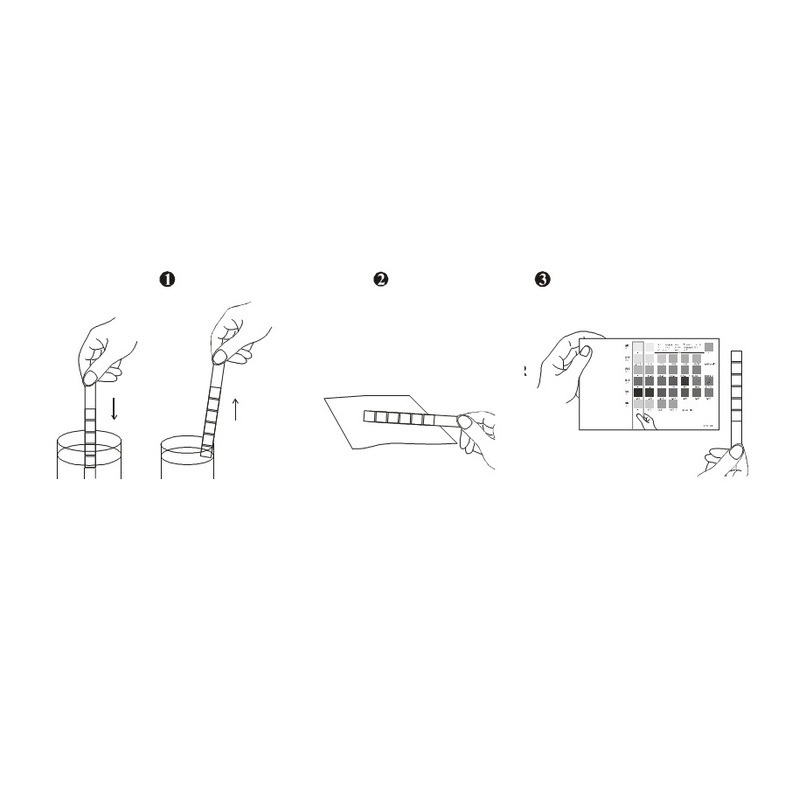 To help determine this, each strip also tests for glucose in your urine. If your urine is positive for both glucose and ketones then you should consult your doctor. Dip the strip into the urine up to the test area, ensuring all reagent pads are fully immersed. Dip for no more than two seconds and then draw the edge of the strip along the brim of the cup to remove excess urine. Compare the colours of the reagent pads after 60 seconds with the enclosed colour chart under good light. No colour change indicates no ketosis detected. Any shade of pink/purple indicates some level of ketones in the urine. What if the sticks don’t change colour? A negative result does not always mean you’re not in ketosis. Ketones will spill into the urine only when there is more in the blood than is being used as fuel by the body at that particular moment. If you’re keeping your carbs below a certain level, you’re probably in ketosis. Some people just use their ketones more efficiently, and indeed make fewer of them, hence their lack of “spill” into the urine. In addition, if you exercised a few hours previously, your muscles would have used up the ketones as fuel, thus there will be no excess. Or if you have had a lot to drink, the urine will be more diluted which may gave an inaccurate result.